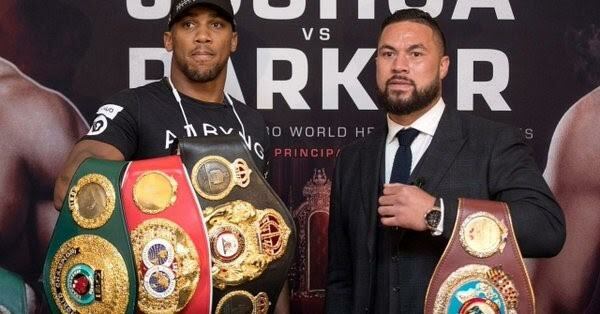 Italian referee Giuseppe Quartarone will be the third man in the ring when WBA, IBO and IBF heavyweight champion Anthony Joshua attempts to unify his titles with WBO counterpart Joseph Parker at Principality Stadium in Cardiff, Wales on March 31 live on Sky Sports Box Office. Both camps have approved the foreign referee. “We’re very happy with the officials that have been appointed,” Parker’s trainer Kevin Barry told Sky Sports. “We’ve got three judges – one from New Zealand, one from the UK and one from the United States. Quartarone has previous experience in the UK. He has refereed bouts featuring Martin Murray, Scott Quigg and Enzo Maccarinelli. Joshua was criticized after his last fight against Carlos Takam for what some fans thought was an early stoppage. The Cameroon-born boxer was coming on in the late rounds when Joshua momentarily stunned him in the tenth and referee Phil Edwards promptly halted the contest. New Zealand’s Parker arrived in Britain at the weekend looking fit and trim. Speaking to BoxingScene.com shortly before leaving his training camp in Las Vegas, Nevada, the 26-year-old Kiwi said he expects Joshua to come in lighter than he has for recent fights and says the he too will be dropping a few pounds before fight night. “I think that maybe being lighter works for him. He has been a bit heavy the last few fights. Whatever he does is up to him but I know that I’m going to come in light and come in fast and show a lot more than what I did in the last two fights,” said Parker.